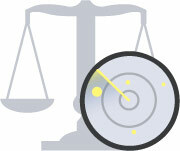 EHS Tracker allows you to easily monitor your jurisdiction for changed and new EHS legislation. The first step in this process is building a legal register. A legal register is a list of laws and regulations that apply to your operations. This is as simple as selecting the legislation from our database and then organizing it by business activity. Watch this video to see how you can build a legal register in record time. Start tracking legislation with a free trial account at EHS Tracker here. Once you have built a legal register, you can start tracking changes and new legislation. This page shows updated and new legislation in your jurisdictions that is applicable to your industrial sectors. Updated legislation that is listed in your legal register appears on this page with a yellow Updated icon. The new legislation is in a jurisdiction that your register is in, or it is in the Federal jurisdiction. The new legislation is in a sector that your register is in. The new legislation is not already in your legal register. The Reviewed button next to each items allows you to review updated or new legislation. You can include a note that will be stored in the logs for future reference and as evidence for auditing purposes. When alerted of any new legislation, you can optionally decide not to track the legislation in question or change the activity name. If you change the activity name, you will be adding that new legislation to your legal register and it will be tracked going forward. We hope these new tools will help you manage your EHS legal obligations in a much more efficient and rigorous manner. Should you have any comments or questions, please do not hesitate to contact us at info@nimonik.ca.